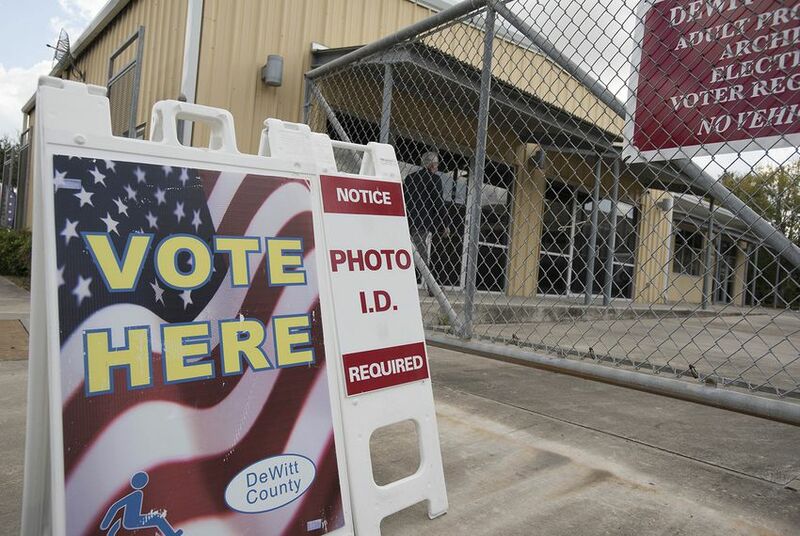 The Dallas County Republican Party has sued to get over 120 Democratic candidates off the ballot in one of the state's biggest Democratic strongholds. Republicans argued in a lawsuit filed Friday that the Democrats' county chair, Carol Donovan, did not sign the candidates' ballot applications before submitting them to the secretary of state's office as required by state law. Instead, someone else put her signature on the applications, the lawsuit alleges. "Laws have consequences and the law is crystal clear, only the county Chair can sign candidate applications, not others purporting to be the county Chair," Missy Shorey, chairwoman of the Dallas County GOP, said in a statement Monday. The list of 128 Democrats targeted by the GOP includes candidates for U.S. House down to justice of the peace. Among the incumbents named in the lawsuit are state Sen. Royce West as well as state Reps. Eric Johnson, Victoria Neave and Toni Rose. "We have assembled a legal team of Dallas' best and brightest Democratic election law attorneys," Donovan said in a statement Sunday. "Though we are taking this case seriously, the Republican Party's lawsuit is not supported by Texas law. We will fight to ensure that all Democratic voters in Dallas County can participate in a fair Primary election." Donovan and other Democrats portrayed the lawsuit as Republicans resorting to the court because they cannot win at the ballot box. Democrats also decried the lawsuit as an effort to disenfranchise minority voters, with Johnson – one of the candidates named in the lawsuit – calling it "just the latest attempt by Texas Republicans to take away the ability of minority voters to elect candidates of their choice." Who is Lupe Valdez, the Dallas County sheriff running for governor?